Wednesday, 24 June 2009 07:47 obinna .The Attorney General of the Federation, Mr. Michael Aondoakaa (SAN), was yesterday attacked by Senators over his non-appearance at a joint Senate enquiry on the alleged $180 million Halliburton scam. The Director of Public Prosecutions, Mr. Salihu Aliyu, who represented him was turned away at the briefing where the Acting Director-General of the Securities and Exchange Commission (SEC), Ms Daisy Ekineh, claimed that the hands of the regulatory agency were tied on the Halliburton issue. 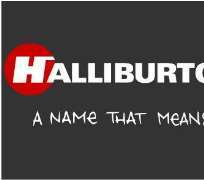 She said SEC was incapacitated on account of the fact that Halliburton was registered in Nigeria as a private company. Following the closed door meeting of the four committees tasked with investigating the Halliburton scam, it was resolved that the Senate should conduct a public hearing to solicit information on the scam from Nigerians with knowledge on the issue. Aondoakaa, Vanguard, however, learnt, subsequently surfaced when the joint committee had gone into a closed door session to deliberate on what actions to mete on him but was not given an opportunity to speak. He was asked to return another day.